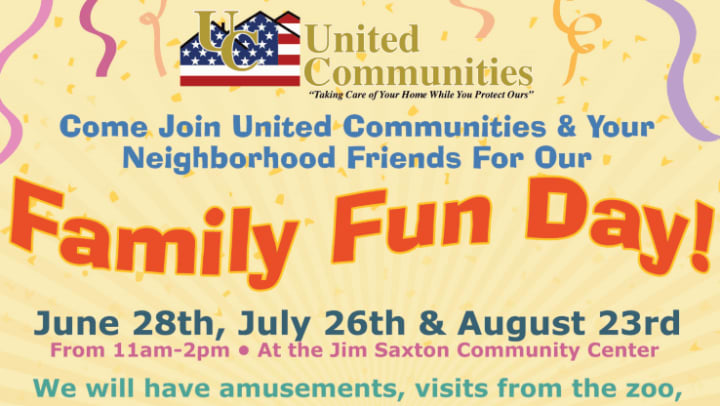 Come out to our first family fun day of the summer at the Jim Saxton Community Center! June 28th, July 26th and August 23rd from 11 a.m. to 2 p.m.
We will have amusements, visits from the zoo, light refreshments and lots of vendors! Keep an eye out for the list of vendors coming soon.